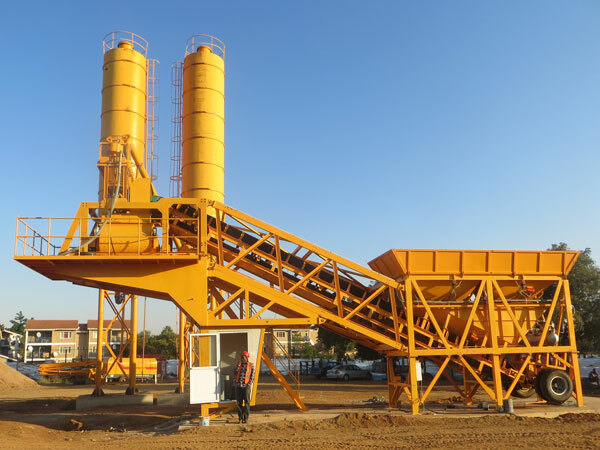 HZS series stationary concrete batching plant?is widely used in big or medium building projects, road and bridges projects, precast concrete plants, etc. 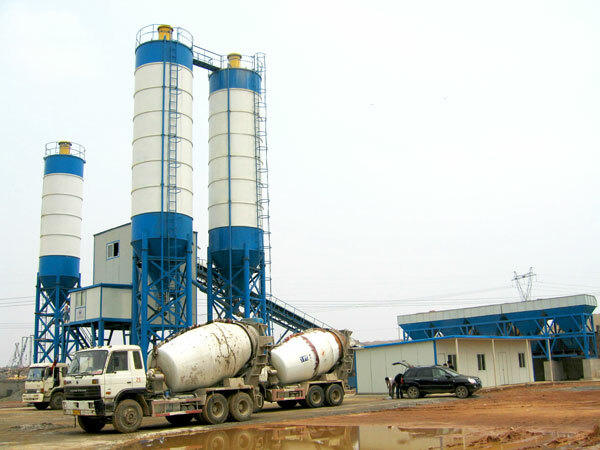 It is an ideal choice for producing commercial concrete. It has two feeding methods. 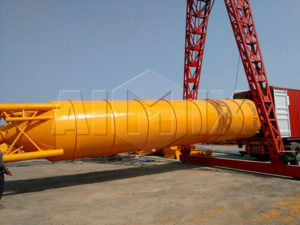 One is hopper, it is used for lower than 50m3 per output production. 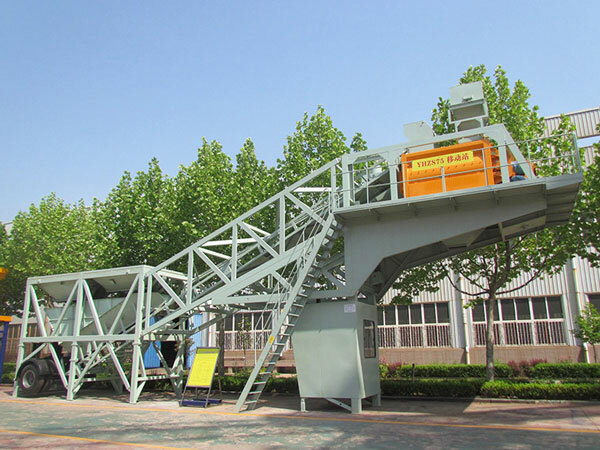 The other is belt type, it is usually used for higher than 60m3 per hour output production. 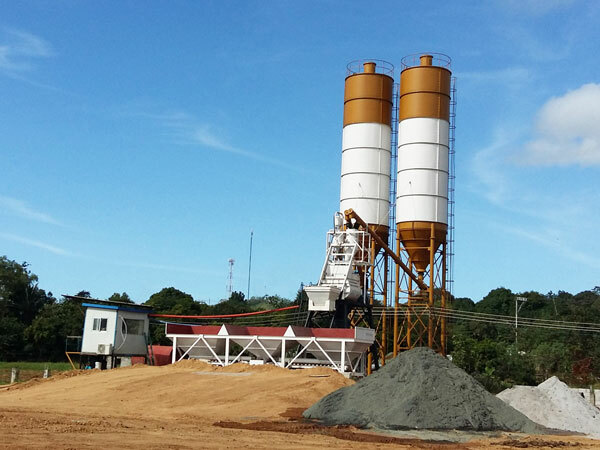 For export, we adopt full automatic control system for our stationary concrete mixing plant. It is industrial computer control, which can vividly display the production process on the screen, so that the operator can monitor at real time. 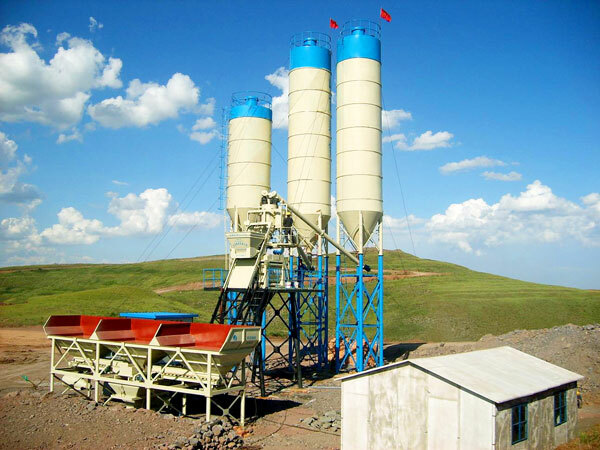 In general, aggregates are stored in open-air place. Powder are stored?in a closed silo. 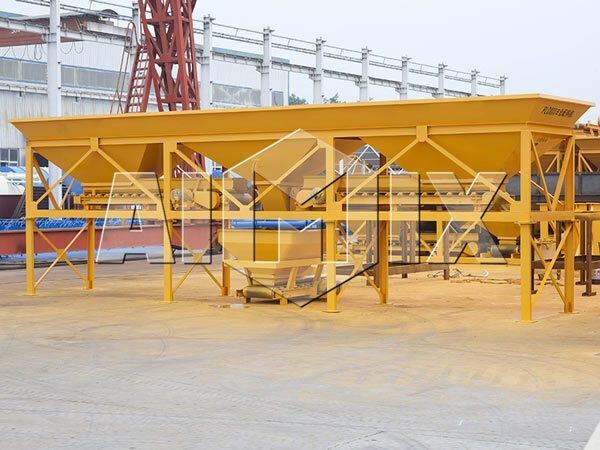 Admixture is stored in steel structural containers. ?Cement are stored in cement silo. Our cement silo is equipped with digital display, which can provides an accurate indication of the cement remains in the silo. 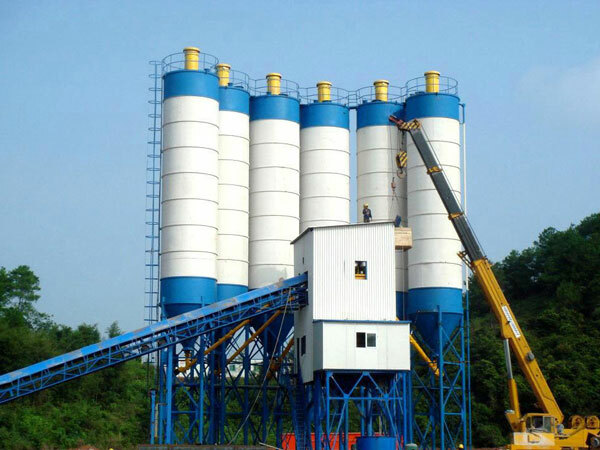 In addition, the capacity of our cement silo is usually in a range from 20 to 200 tons, so it can be customized by our users in line with their different needs. Weighing system is a key component that affects the quality and the cost of concrete. 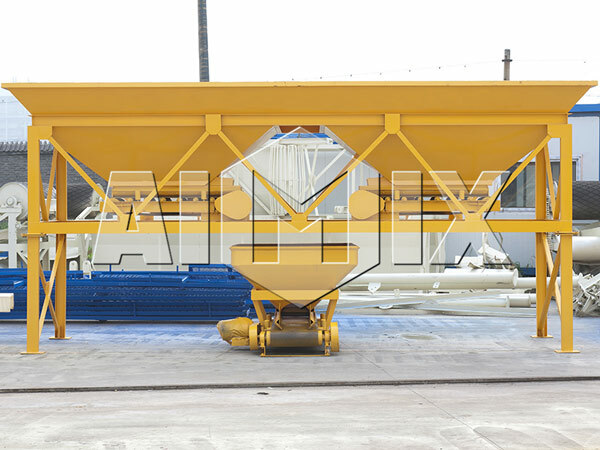 It is divided into three parts: aggregate weighing, powder weighing and liquid weighing. 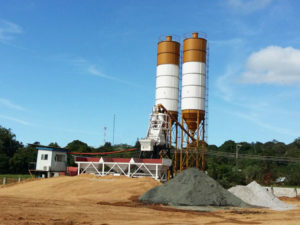 Aggregates mainly include large stones, small stones, sand; liquid containing water and liquid admixture; powder is divided into cement, fly ash and slag. All the weighing are operated at the same time and controlled by the computer. Users can input the ratio to the computer according to their different requirements. 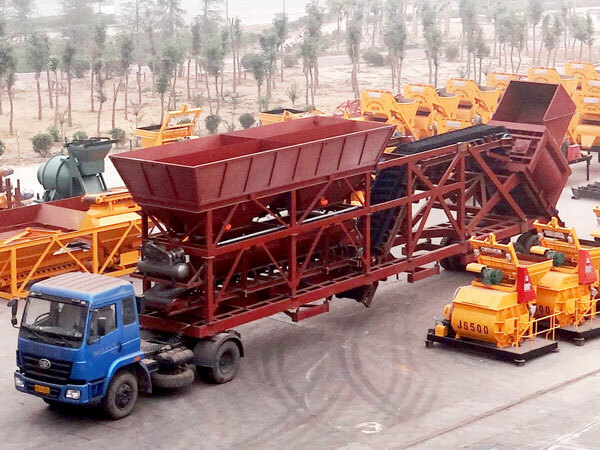 YHZS series mobile concrete plant?is a type of movable equipment, which is very suitable for short term for medium term projects to produce plastic concrete, dry hard concrete, etc. 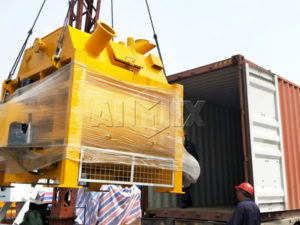 It is on a semi-trailer unit, which is very convenient to install, disassemble and move among construction sites. We mainly have YHZS25, YHZS35, YHZS50, YHZS75 and YHZS90 for your selection. 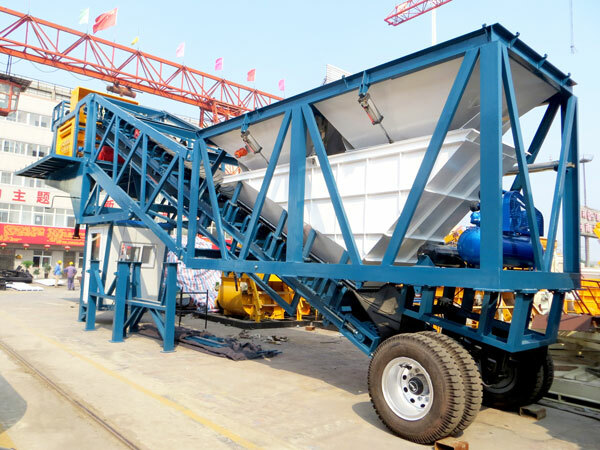 Hauling type mobile concrete mixing plant adopts the semi-trailer design, with travelling system and standard traction pin, it can be dragged by a tractor, which enables convenient and quick equipment transfer and installation. 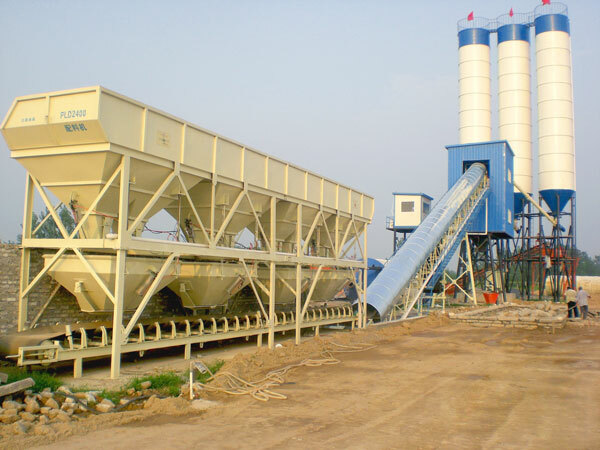 Our concrete batching machine can mix three to six kinds of aggregates, such as: sand, rocks, gravel, potash, fly ash and cement. 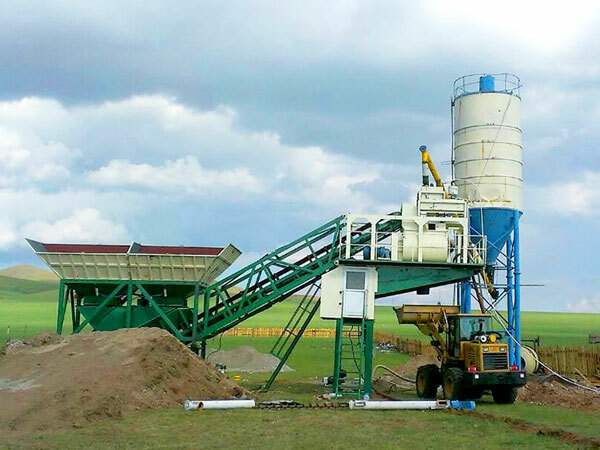 I have to say, our concrete batching machine has high work efficiency. There are two warehouses, three warehouses and four warehouses available. 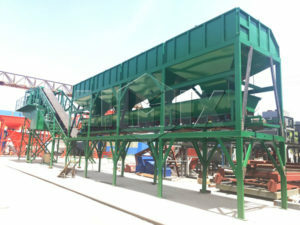 Conveying system consists of three parts. 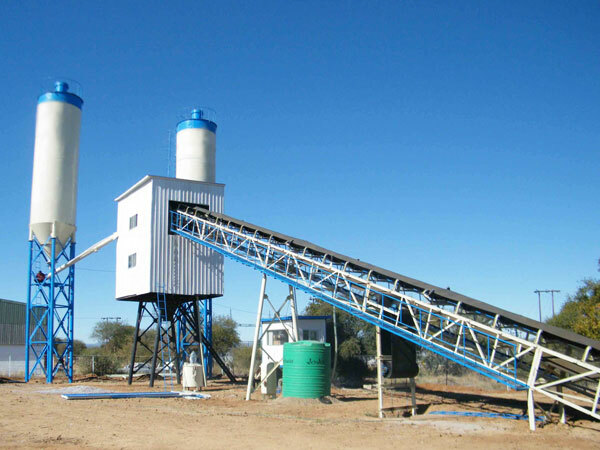 Aggregate is conveying by hopper and belt. 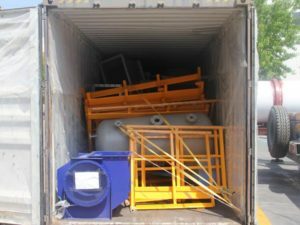 The hopper conveying has the advantages of small transportation area and low cost. The belt conveying has the advantages of small footprint and low cost. 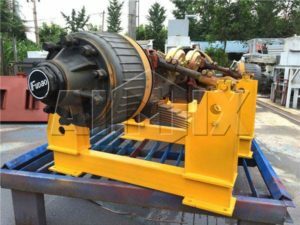 Belt conveying has the advantages of high efficiency and long transmission distance. 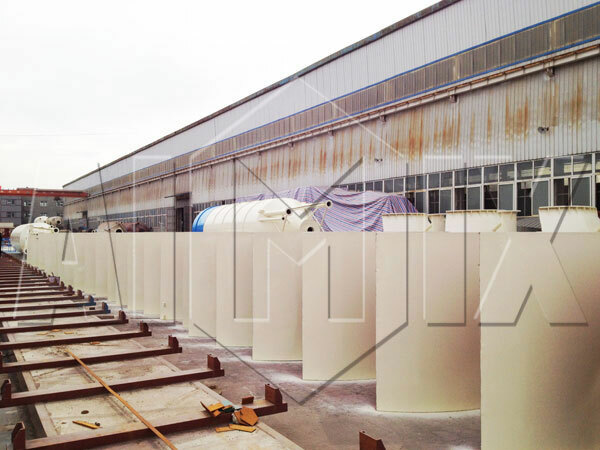 Water and liquid admixtures are transported by the pump. 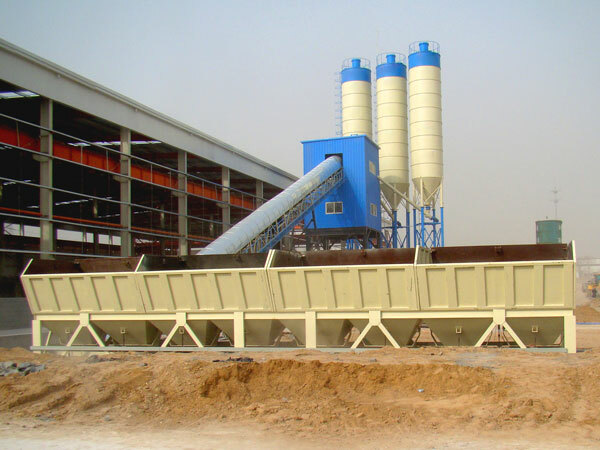 ?Concrete is conveying by screw conveyor?from cement silo to the concrete mixer. The whole control room is big and bright, which is equipped with?air conditioning. 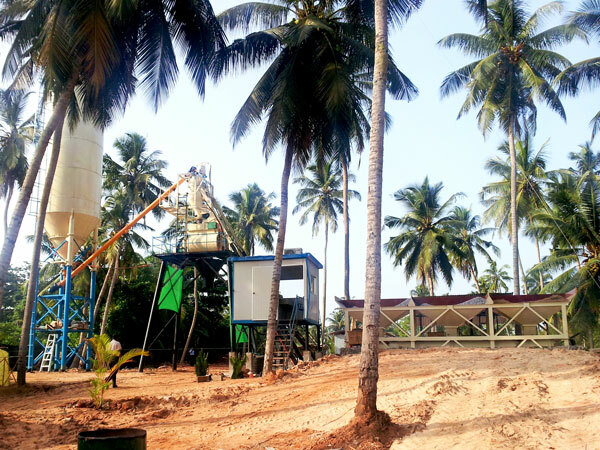 ?Our concrete mixer plant is controlled by a microcomputer, which is?really convenient to operation and maintain for users. 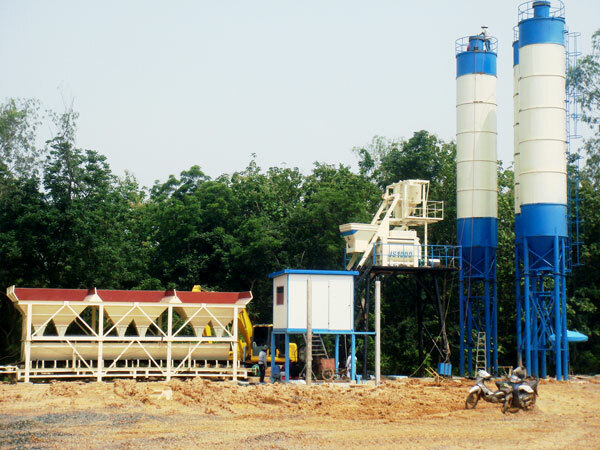 In the absence of automatic control, the manual operating system can still control the whole concrete mix plant. 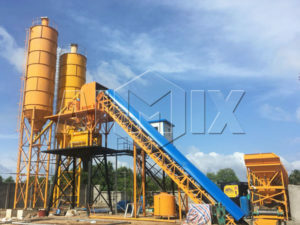 Our mobile, stationary, central mix or ready mixed concrete plants?adopt compulsory?concrete mixer, which?has good mixing performance and strong adaptability for mixing ordinary concrete and special concrete. 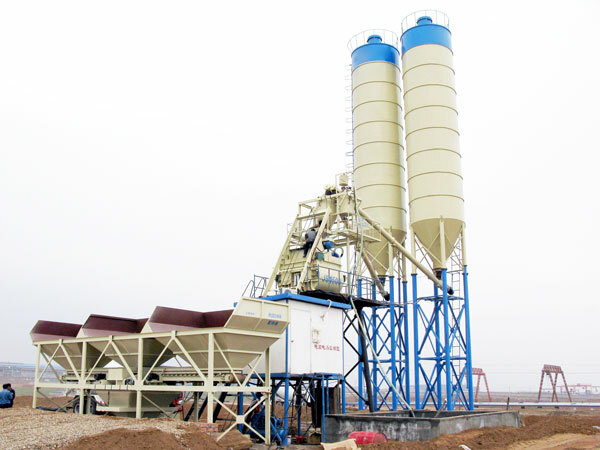 In addition, compulsory?concrete mixer ensures the good quality of concrete in the concrete plant. 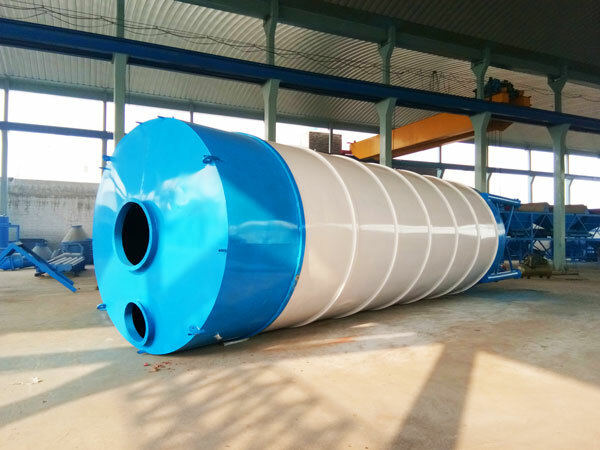 Dust removal system of on site concrete batching plant is composed of dust collector?and dust removal pipe. 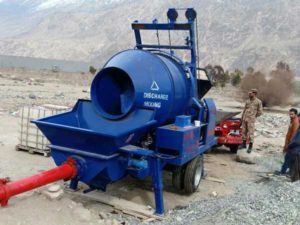 Our dust removing device?can purify the air to realize civilized concrete construction, which is really good. 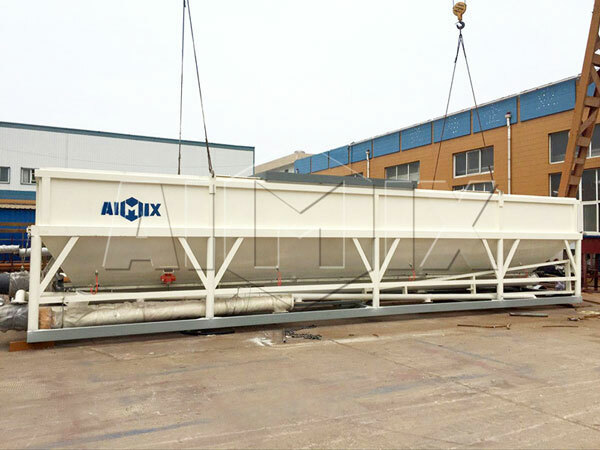 Aimix is?the top concrete batching plant manufacturer and leading enterprise of China construction equipment, and we have many types of concrete batch plant. 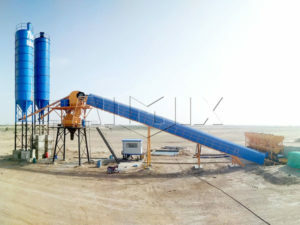 Such as: Skip Hoist Type Batching Plant, Belt Conveyor Type Concrete Plant, Mobile Batching Plant, Stationary Concrete Batching Plant, Central Mix Concrete Plant, Ready Mix Concrete Plant, Small Concrete Batching Plant, Dry Mix Concrete Plant, Wet Concrete Batching Plant, Mini Cement Plant and so on. 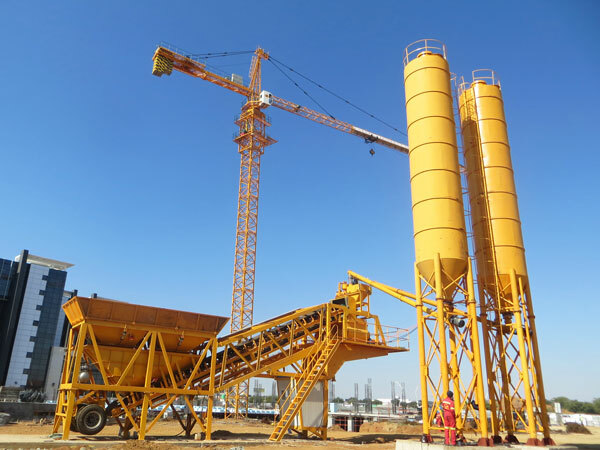 In addition, we also provide concrete mixer, concrete mixer with pump, asphalt mixing plant, dry mortar plant, tower crane, construction lift, block making machine, wheel loader and other construction products. 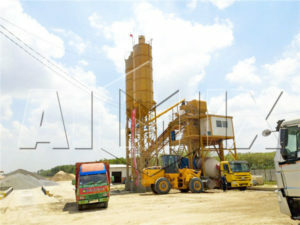 If you have more interests in our concrete batching plant and other products, welcome to visit our company and factory.